Asus certainly knows how to spin out a successful line of products – the Eee badge is no found on around 2,612 different laptops, desktops and monitors (we think) to date. The latest members of that list are, however, rather surprising. According to the internet rumour mill – and some very convincing photos – Asus will soon be launching a wireless keyboard and mouse, as well as a multimedia remote control handset. The unnamed and unpriced peripherals are, presumably, to be used with an Eee Box desktop PC, rather than a laptop, while the remote must be destined for Media Center duty. The keyboard and mouse appear to be available in glossy black or white and feature prominent Eee logos. 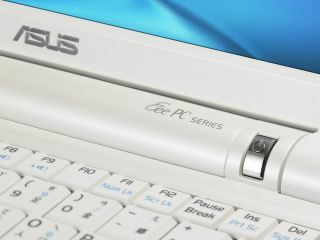 Somewhat shockingly (if you're not a fan of the Asus way, that is) both look rather attractive. Although none of this is official, of course, we imagine all will be made clear at CES next month.